I struggle not to look too long. even the pond frogs are jealous. ten gallons of gas will take me. refuse to go any further? 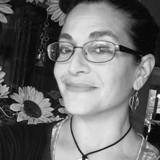 Cristina M. R. Norcross is the founding editor of Blue Heron Review, co-founder of Random Acts of Poetry & Art Day (Feb. 20th), and author of seven poetry collections. Her work has appeared in numerous anthologies and journals. When not writing, Cristina devotes time to fine art photography and creating handmade jewelry from stones and recycled materials. Learn more about Cristina at www.cristinanorcross.com. I have often wondered about a similar road, I guess that one not taken ~ the many old WI barns, the wildflowers that slip past down the highway. This sums it all up, beautifully, Cristina! Thank you so much for your very kind comments - Jo, Glen, and Michael. I truly appreciate it! Once we get past this persistent winter in the Midwest, I look forward to some barn spotting and field gazing. I love the "roadside show" stanza, Cristina. Outstanding!! Reminds me so much of my rural central Illinois background--barns, flowers, blue sky, plowed fields. Nicely done, Cristina.